Announcement We take upcycling seriously! All of our items are made from things pulled from Cape Cod beaches or kept out of local landfills-even the mirrors and framed shells we create are made from waste generated in our frame shop. We take upcycling seriously! All of our items are made from things pulled from Cape Cod beaches or kept out of local landfills-even the mirrors and framed shells we create are made from waste generated in our frame shop. These shells are perfect for centerpiece arrangements I am working on. Thanks! My special order was delivered today and I am very happy. I ordered a large number of extra large shells. They are sized as promised, and individually wrapped in tissue paper. Thanks Jennifer! After collecting shells on the beach each one is cleaned by hand and put outside to dry in the sun. The rock jetties are great places to look for shells at low tide. I usually find quite a variety of clam, scallop and oyster shells on my daily walk. I am always most inspired in the off season. I live wandering the shore thinking about the different ways that people have repurposed the treasures washed up from the sea. My husband and I are fortunate to be among the very few year round residents of the tip of Cape Cod. When we’re not fishing or making art, we’re framing the work of world class artists (and, of course, photos of fish) at our custom frame shop, Pilgrim Framing. We started Etsy shops to expand the audience for our work as well as to keep from going (too) stir crazy in the winter. All of the items in my shop are made or found at the tip of Cape Cod in Massachusetts. We live close to the spot where the Mayflower Pilgrims first came ashore on November 11, 1620. Pirates, playwrights, performers, fisherman, artists and aristocrats have walked this beach ever since. I walk the beach each morning myself and pick up whatever catches my eye. Then I bring it home, rinse it off and get inspired. Cape Cod Year Rounder, Mayflower descendant and disco dancer extraordinaire. I love watching the ebb and flow of the days and seasons in this little seaside town at the tip of Cape Cod. For as long as I can remember, I have felt a powerful drive to create art. Born and raised on the shores of Cape Cod, I have always been acutely influenced and inspired by the power and beauty of the sea. Thank you for visiting! 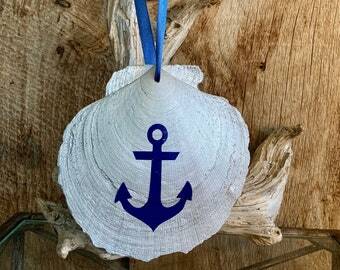 All items in my shop are made or found at the tip of Cape Cod. I comb the beach daily so if you are looking for a particular item, let me know. All items are created and stored in my smoke-free home. I want you to be happy with your purchase. If you are not completely satisfied, please reach out within 7 days of delivery and I will do everything I can to make it right! Refunds and exchanges are available for all items, with the exception of anything that has been personalized. If your item is damaged, I will need photos of both the item and the box to issue a refund. Please hang on to any damaged items or packing for 60 days. Payment for custom orders is due prior to work. Unless otherwise noted, items ship in 1-3 business day after purchase. If you would like to purchase items in bulk, shipping can reduced beyond the standard discount. All items are sent insured with tracking information. International customers please not that the buyer is responsible for any customs, VAT or other fees charged by your country. Quantities of most items are customizable. Framing, Matting, and Stencils are also available for custom orders.